After graduating from high school in Middleton, I attended the Centre of Geographic Sciences and took the Survey Technician program. Upon graduation from COGS I was offered a job in the Northwest Territories with Ollerhead and Associates Surveyors and Engineers. I worked with them for two years. It was a fascinating experience and I got to see a part of the country that many people do not get to see. 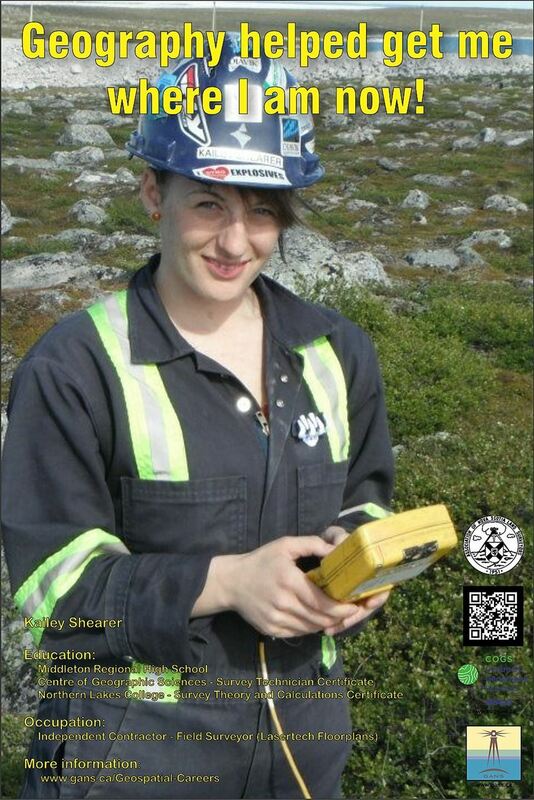 Ollerhead and Associated had many different projects on the go including: mine surveying at a diamond mine, surveying the official boundary between the Northwest Territories and Nunavut, and Aboriginal tribes land boundary surveys. Since then I have been working for Lasertech Floorplans. I am an independent contractor which means I get to live at home in Nova Scotia and accept jobs on a contract basis. This position has granted me many opportunities to travel all over North America. I have been surveying in New York city, Hollywood, New Orleans and Miami to name a few. Lasertech does building surveys, which are different than typical land surveys. Using proprietary software and lasers, they can create models and floor plans accurate to within 0.2 of an inch.